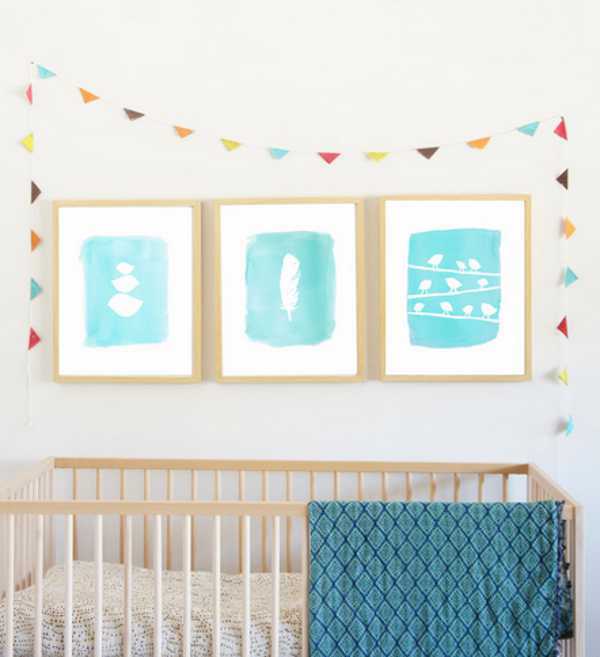 Wall art for nurseries doesn’t have to be something your children will grow out of. These striking collections will have a place in your home for many years to come. Before I launch into these gorgeous prints, I must thank Babyology reader Rebekah for letting us know about them – you’ve got a great eye Rebekah! 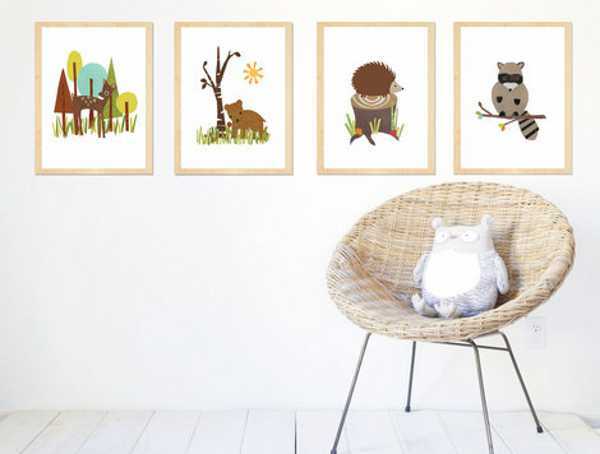 Children Inspire Design is an absolute haven for nursery wall art with a difference. The collections are both child-like, yet grown up. Most of the prints would do well in any room in the house. There’s the lovely, subtle Bird collection prints in either blue or pink (US$75), which take their inspiration from nature and are as soothing as they are beautiful. 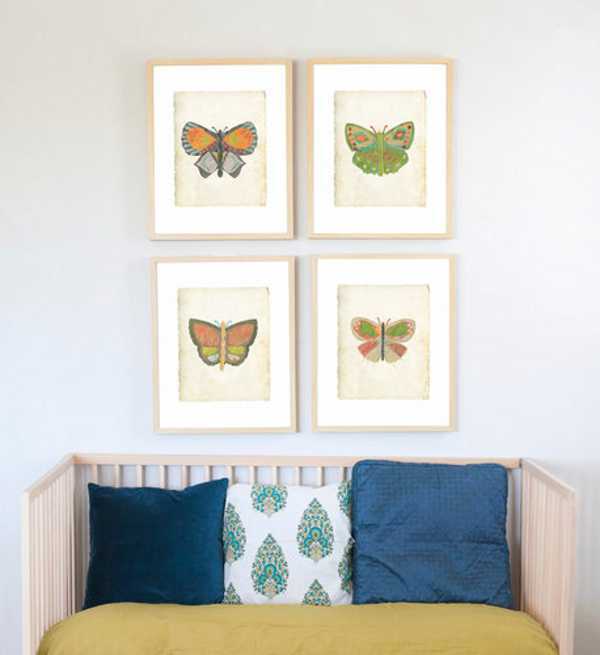 I’m a vintage girl, so this Vintage Butterfly collection puts my heart all aflutter. The original artwork was created using recycled scraps, including coffee burlap bags. They come in a set of four for US$80. 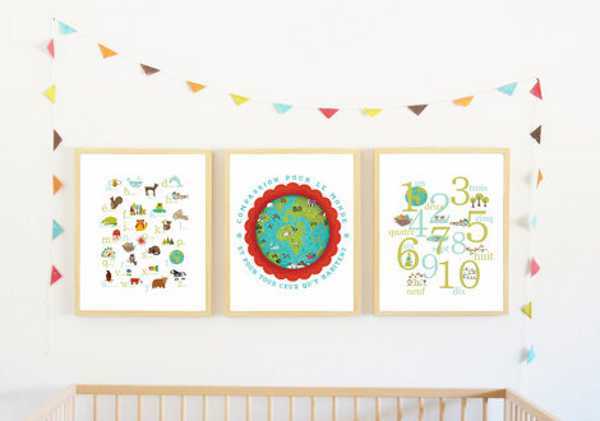 The English Earth Baby Collection at the top of the post is US$90 for a set of three posters. If your nursery theme is woodland – you’ll adore the Forest Collection with its gorgeous critters. It’s US$88 for a set of four 8×10 prints. Children Inspire Design ships worldwide.